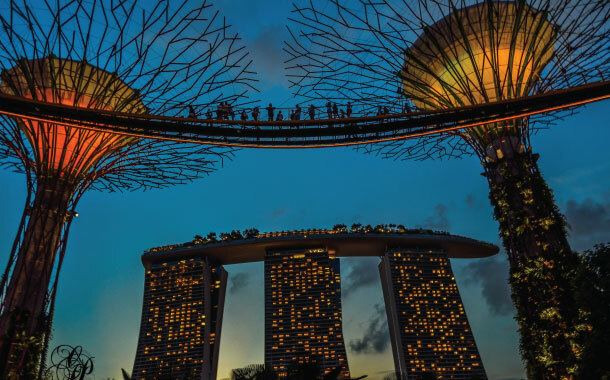 Being the largest gardens in Singapore – Gardens by the Bay is a must-visit for travellers looking out for a green gateway in the city. 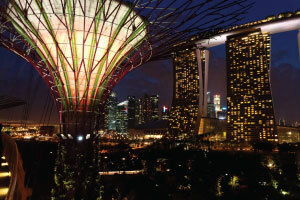 Spread across 101 hectares of prime land, it is located right next to the spectacular Marina Bay Sands Hotel. This sprawling garden in the city offers breathtaking waterfront views and offers wide collection of plants and trees from across the world. 3. OCBC Skyway (Open from 09:00am till 09:00pm. Entry charges are SGD 8 for adults and SGD 3 for kids). 4. 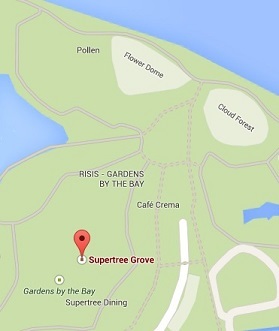 Supertree Grove (Open from 05:00am till 02:00am. Entry is free). i. Heritage Gardens (Open from 05:00am till 02:00pm. Entry is free). ii. Dragonfly and Kingfisher Lakes (Open from 05:00am till 02:00am. Entry is free). iii. Sun Pavilion (Open from 09:00am till 09:00pm. Entry is free). iv. World of Plants (Open from 05:00am till 02:00am. Entry is free). v. Far East Organization Children’s Garden (Weekdays: 10:00 am till 07:00 pm and on weekends and public holidays: 09:00am till 09:00pm. Entry is free). There are multiple ways to explore the magnificent Gardens by the Bay. For instance – Guided Garden Tours, audio tours, self-guided tours or even tours through a mobile app. If you are really into plants and would like to have a detailed tour, we suggest you to opt for a guided or audio tour. However, if you are a first-timer who has little knowledge about the trees, shrubs or plants; then opt for self-guided tour. To add more fun to your tour, download the Gardens by the Bay free mobile app which serves as a practical multimedia guide and also has few interactive games. It is an interactive guide explaining the ecosystem and other scientific facts and plants, flowers, trees and shrubs in a fun way! The minute you enter the Flower Dome or the Flower Dome Conservatory, the first thing that comes in your mind is ‘AWESOME’! It is the world’s largest column-free greenhouse. With the climatic conditions of the Mediterranean region, the dome has a wide collection of plants, trees and shrubs; each with labels and information. Look out for the 100 year old Olive tree here which is one of the most attractive trees in the dome. The best part is the themed changing floral display as per the festival and time of the year. You will be welcomed by a gigantic waterfall coming from a 35 meter tall mountain covered with different indoor plants. In fact, the waterfall is so close to the entrance that you can feel flickers of water droplets on your skin. The cool-moist conservatory offers a very different experience from the Flower Dome. The mountain isn’t a solid one with mud and rocks, but a man-made cement building with built-in plant pots to create a plant wall –still very impressive to see. After all, mountains are not something that you would expect to see in a greenhouse! Start from the top with the Lost World area. From here, the Cloud Walk starts going down towards the other levels. There are different things to explore on each level. For instance, level 4 is “Crystal Mountain”, showcasing various types of crystals and stalactites; it is also where you do the “Tree Top Walk”, which is located at 30 meters above the rainforest floor. The best time to spend time at the Supertree Grove is in the evening. The garden consists of 12 trees that are, at maximum, 50 meters (164 feet) high. There is a 128 meter long suspension bridge (OCBC Skyway) that connects a few of them, which you can pay to walk across to take in more elaborate views of the garden and the city of Singapore. i. Don’t rush through the attractions. Spend more time and go at a relaxing pace to explore the domes. ii. Wear your most comfortable footwear. iii. Best time to come will be between 4-7pm (when the Supertrees lights up enigmatically at the dusk and enjoy a nice sunset by the bay). i. If you have 1-2 hours, you can visit Flower Dome, Cloud Forest and the Supertrees. ii. If you have 2-3 hours, you can also hop on to the Garden Cruiser and ride through the themed gardens, accompanied by informative commentary. You can also visit the OCBC Skyway. iii. If you have 3-4 hours, you can also visit the Heritage Gardens and World of Plants. 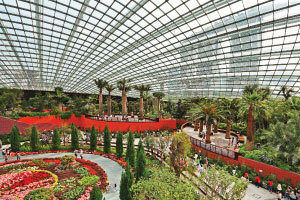 Do indulge in some fine cuisine offered at various F&B outlets at the Gardens by the Bay. iv. If you have more than 4 hours, you can club the above activities with a visit to the Dragonfly Lake and Sun Pavilion. Visit the Golden and Silver Garden located in the Supertree Grove area. You can also indulge in some shopping at the Garden Shop.